I know these are a little too bright, too Fitzgerald, too nerdy, too elementary, too Shaq, too geeky, just plain too much BUT I love them! 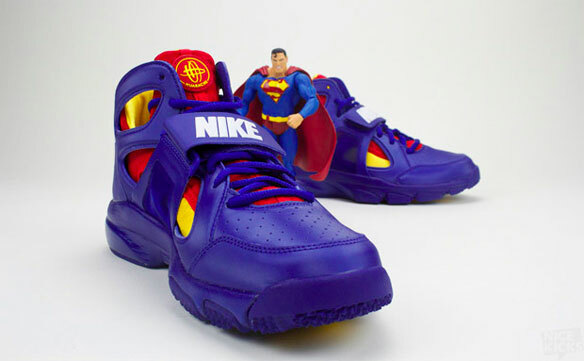 Here are the second in Nike's Zoom Huarache Trainer Superhero limited edition series -- which were designed exclusively for the NFL superstar receiver Larry Fitzgerald -- are due to hit specialty shoe stores this week, and feature a color scheme based on the Man of Steel himself. 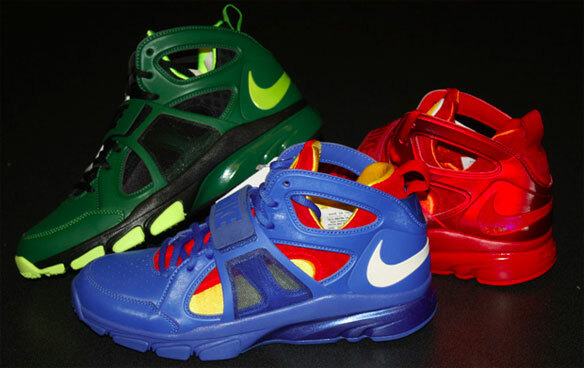 They follow last month's Flash inspired shoes, and precede next month's Green Lantern kicks -- which are easily the coolest looking of the bunch. The shoes are going for $115 each and should be hitting your local hipster sneaker store today.If you've got hands of Larry Fitzgerald and the balls of Ray Lewis, these shows are for you.